alternatively please contact our office staff on 1300 791 501 to discuss. HAS YOUR CAR BEEN DAMAGED BY HAIL? Aussie Hail was established in 2004 and is made up of Directors that each have over 18 years experience in Paintless Dent Repairs (PDR). Because of this, you can be confident that we are quoting your vehicle correctly and repairing it to the highest quality. Aussie Hail is a complete storm management solution for your hail damaged vehicle. We offer a complete end to end service to restore your vehicle to pre-storm condition. We pride ourselves on our process of managing your claim through to completed repairs. 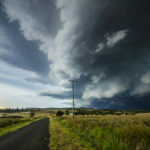 Aussie Hail has a national contract with IAG, one of the largest general insurance groups in Australia whose brands include NRMA Insurance, CGU Insurance, SGIO, Lumley Insurance and WFI. IAG provides a lifetime guarantee for the workmanship of repairs they authorise with us. Your vehicle will be assessed at a designated repair centre by one of our highly qualified technicians. Once your vehicle has been assessed we will be able to provide you with repair details including repair viability and method of repairs. You will be advised of your assessment outcome and booked for a repair date. If your vehicle is deemed to be a total loss, we will inform you at the assessment and make arrangements with your insurer for the total loss to be processed. One of our highly qualified technicians will commence repairs to your vehicle. The method of repair will determine your repair times. Repairs completed by PDR (paintless dent repair) are processed within a week. Vehicles requiring conventional repair or a combination of PDR and conventional repair will take up to two weeks. Vehicles requiring weld on panels (ie: new roof) can take up to three weeks. We use all genuine parts supplied by your vehicle manufacturer to ensure a high quality result. Once repairs have been finished, we carry out a final quality assessment to ensure all repairs are completed to industry standards. Your vehicle will then be treated to a complementary wash and vacuum. We will contact you to advise your vehicle has been repaired and arrange payment of your excess (if applicable). It is my pleasure to recommend the PDR services of Aussie Hail. The company offers top-notch service and rates. Across the board we are always pleased with their work. 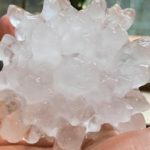 Since the hail storms that inundated Melbourne in December 2011, we have been working closely with Aussie Hail to provide an outstanding amount of customer service & quality workmanship to our customers. Please consider Aussie Hail for all your PDR needs. Aussie Hail’s workmanship and professional approach is truly an asset to them. Their punctuality is outstanding and found it made our job easy knowing their work was to a very high standard. During the recent December hail storm in Melbourne, Browns Motors contracted Aussie Hail to work alongside our estimators and technicians performing the PDR side of the repair. Browns Motors found Aussie Hail to be a friendly and a total professional PDR specialist. Our goal is to manage every aspect of repair, minimising the inconvenience and getting the vehicles back on the road as soon as possible supplying a 3 year warranty on all our repairs. Aussie Hail met our high quality standards so that Browns Motors could consistently exceed customer expectations and deliver complete satisfaction. 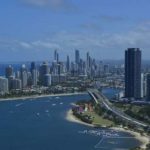 Aussie Hail PTY LTD is dedicated to the conservation of our Environment and as such everything we do is done with a view of minimising the impact that we as individuals and as a group have on the environment. We do this through partnering with a Carbon Neutral business to assist us in minimising our impact on the environment, and reduce and offset greenhouse gas emissions. By participating in this program we as a business are assisting in the reduction of soil salinity, sequester carbon, combat wind and water erosion, enhance biodiversity and restore habitat for our native animals. Further, we are creating employment opportunities, supporting local businesses in every state and this initiative will invariably contribute to increased rainfall. When you choose Aussie Hail PTY LTD to repair your vehicle, you also become a part of our vision to become a Greener Australia.